Cover art by Dan Hipp. 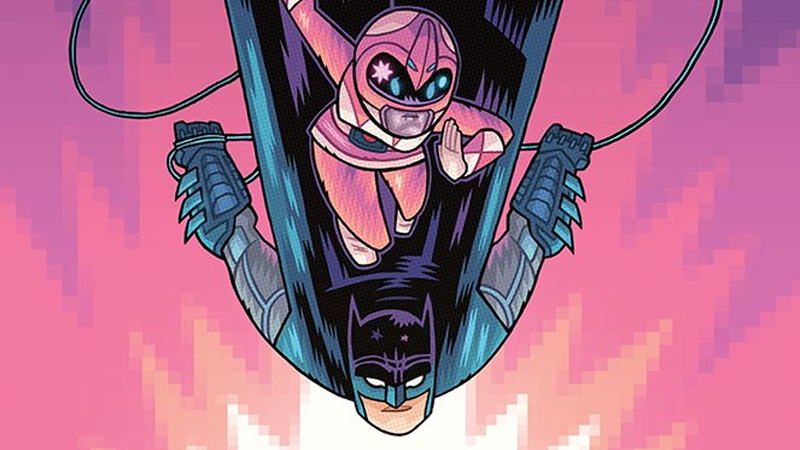 The Justice League/Power Rangers crossover miniseries is nearly upon us, which means it’s time for variant covers—and that means time for team-ups between members of the League and the teens with attitude. Kimberly and Batman make for a great pairing, no? DC has released its first slew of variants for the first issue of Justice League/Power Rangers, each pairing up one of the six original Power Rangers with a member of the Justice League. Alongside Kimberly, Jason gets Wonder Woman, Billy gets Cyborg, Tommy gets to try and kick Superman in the face (bad idea, Tommy), Trini gets Green Lantern, and Zack gets the Flash. They’re all cool, but the Kimberly/Batman cover is easily the best. Those putty patrollers won’t know what’s hit them. Justice League/Power Rangers #1 is due to hit store shelves January 11th.